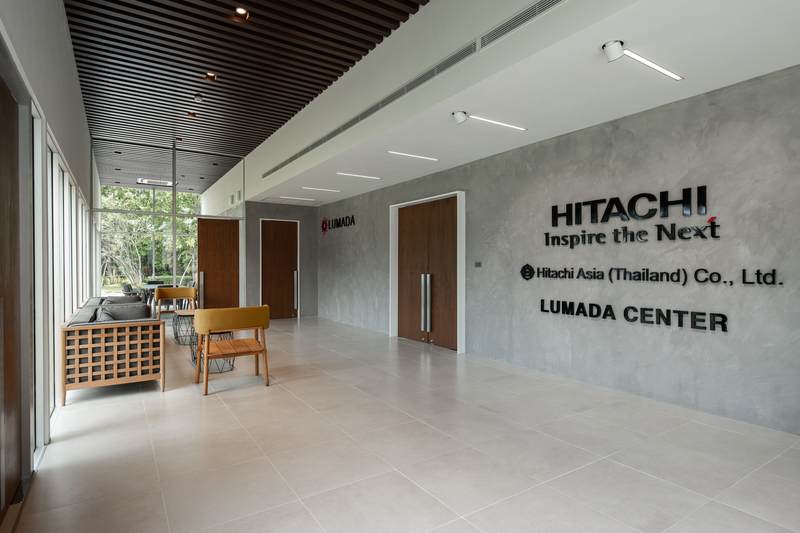 To usher in the new era of digital connectivity for Thailand and the greater ASEAN region, Hitachi has had the foresight to create the ‘Lumada’ IoT platform to strengthen this region for the coming of the IoT trend. 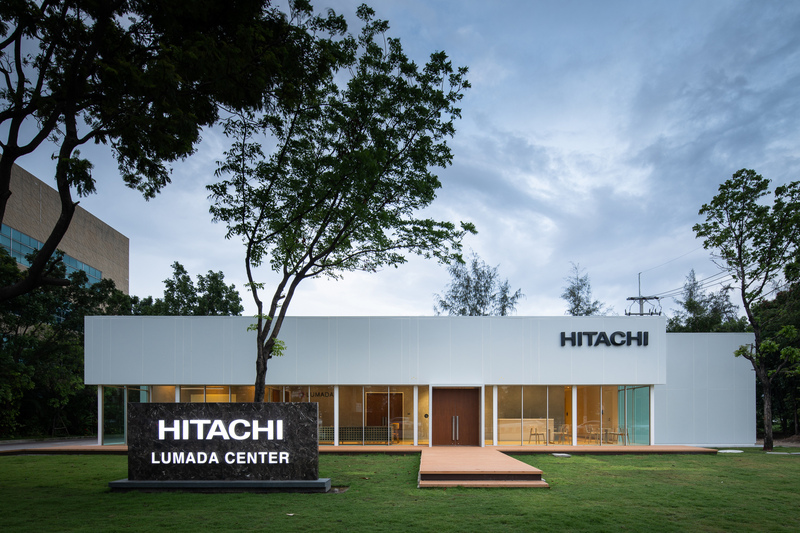 The new ‘Hitachi Lumada’ center will be at the fore for developments of such technology, and our company had the honour of designing its architecture and interior decorations. Lumada’s <light rays> in its logo and symbol serves as our inspiration and focal point. The word origin of Lumada alludes to Illuminate: to shine brightly onto. 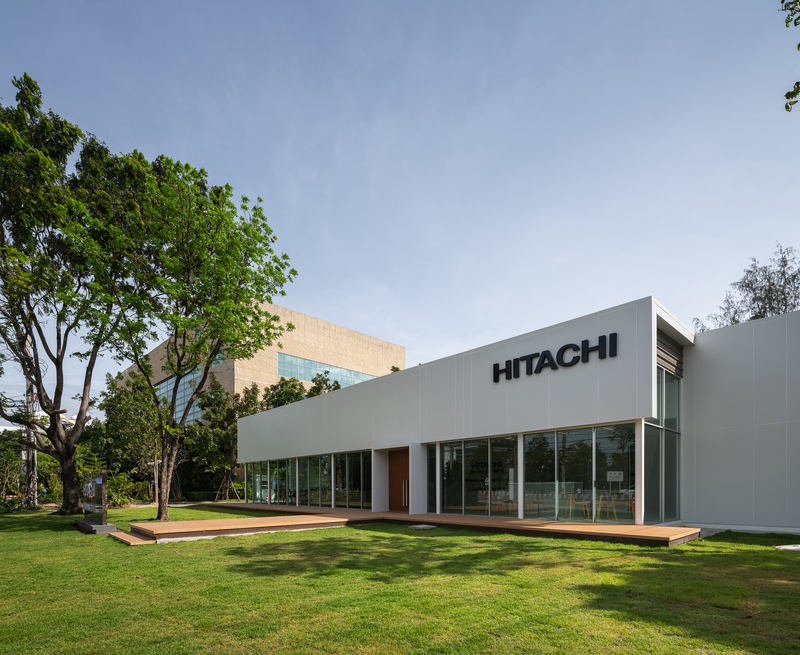 Hitachi takes guardianship of the customer’s data and illuminate the hidden nuances; analyzing these data and serve up an improvement solution to the customer which help their operation in various ways. 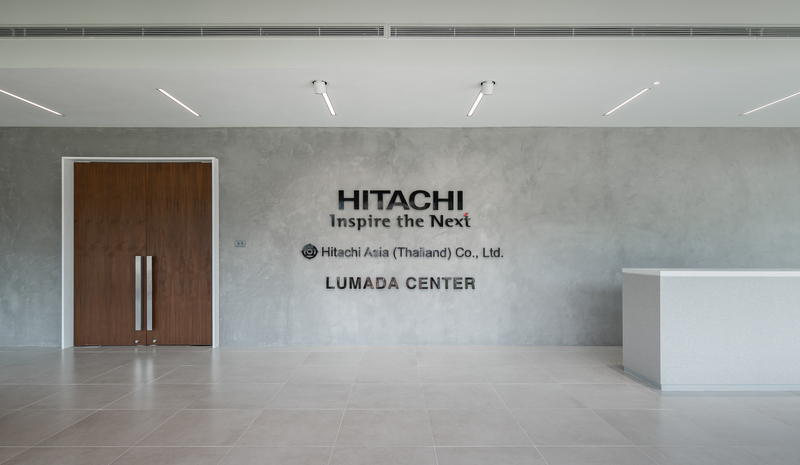 Through this architectural and interior design, we help Hitachi Lumada center to carry out their vision by implementing these concepts into our designed end product. Within the building, the ‘Co Creation Room’ features multiple LED screens for on-the-fly data monitoring and live analysis simulation of an actual production line. Since long, uninterrupted period of focus by the working team is (likely) necessary, we opt to minimize distractions from the outside by not using glass partitions and fenestrations. 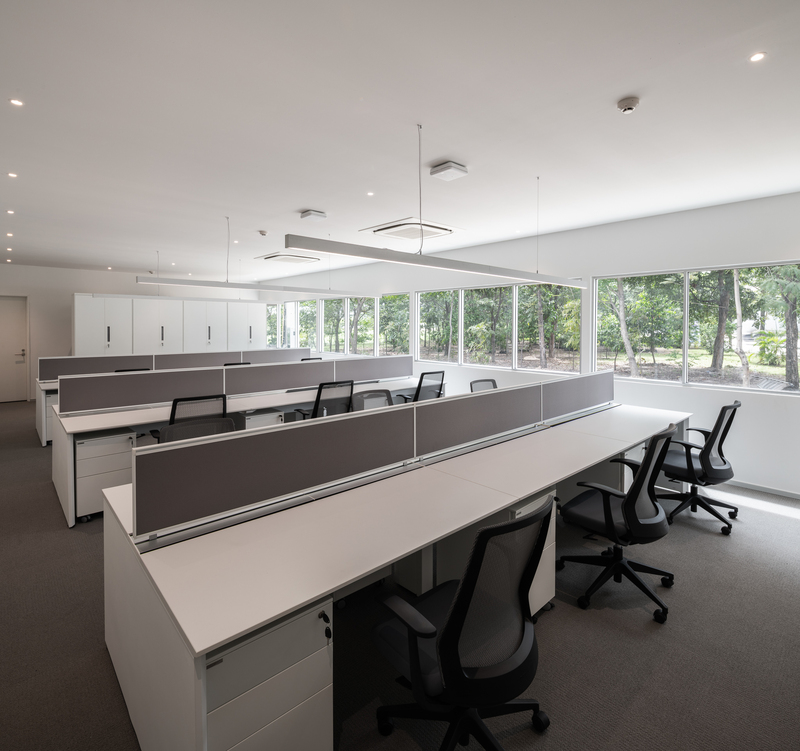 Ambient lighting conditions are designed to be comfortable for the working team’s focus. 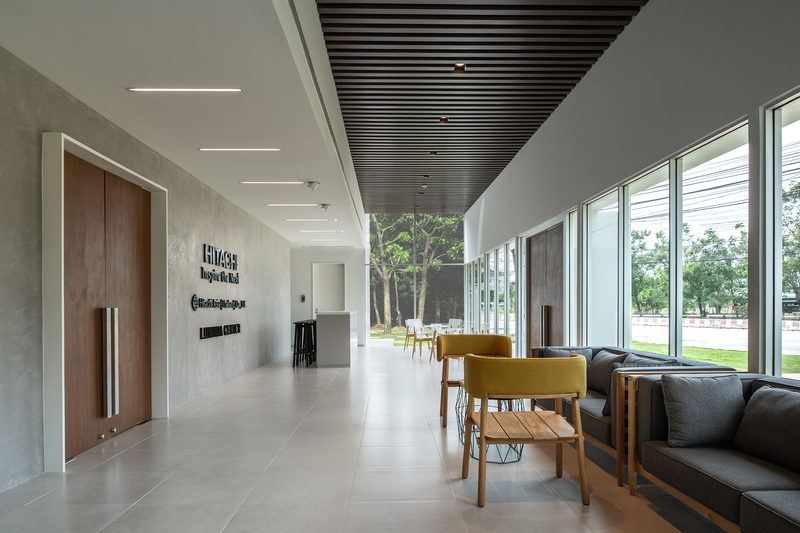 When it is time to take breaks, however, the entrance lobby serves also as a comforting place to be with its high ceiling and large glass curtain wall panels, exuding the effect of spaciousness and openness. These are the qualities that we insist on upholding within the design to bring about a delightful feeling. 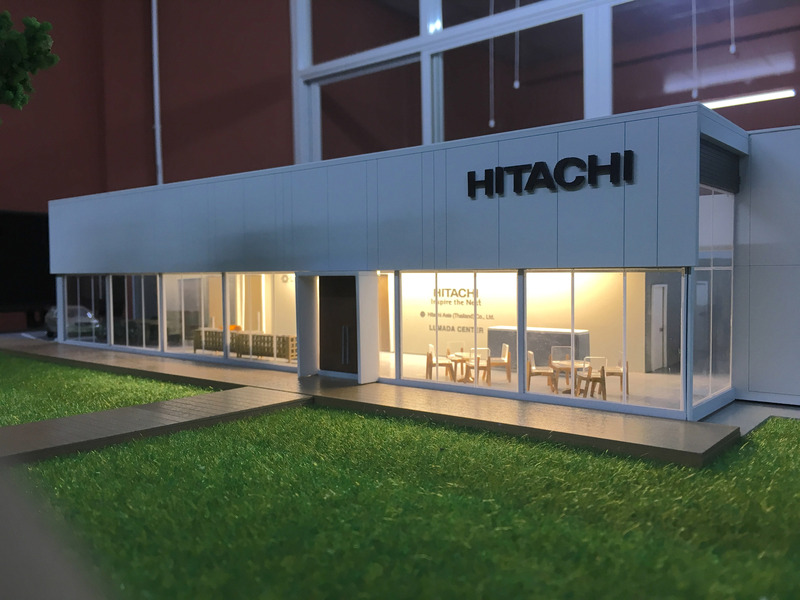 On a more practical note, in the architectural construction of the project we have opted for the use of prefabricated elements to enable cost and erection time savings as both requirements were requested by Hitachi. 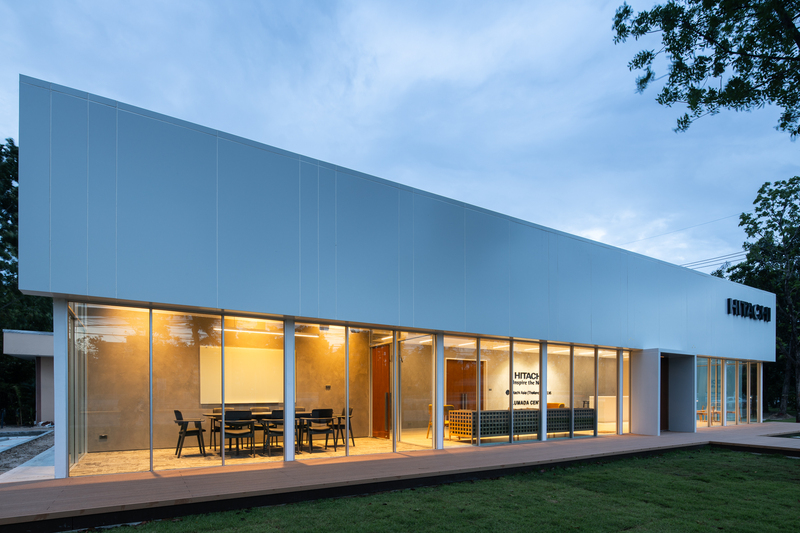 Since the modular steel frame size is a fixed requirement, we realized that we needed to make use of design language to refine the interior space and exterior appearance both. Our thesis became to properly conceal the rigid and inflexible spacing imposed by the use of 6x3m module so that the entire design turns out pleasing and seemed as if prefabricated elements were not used during construction. Meanwhile, at night the glass facade emphasizes the images of lines and rays, fulfilling the initial concept of Illumination and will simultaneously create new values worthy of being the technological beacon for the region. 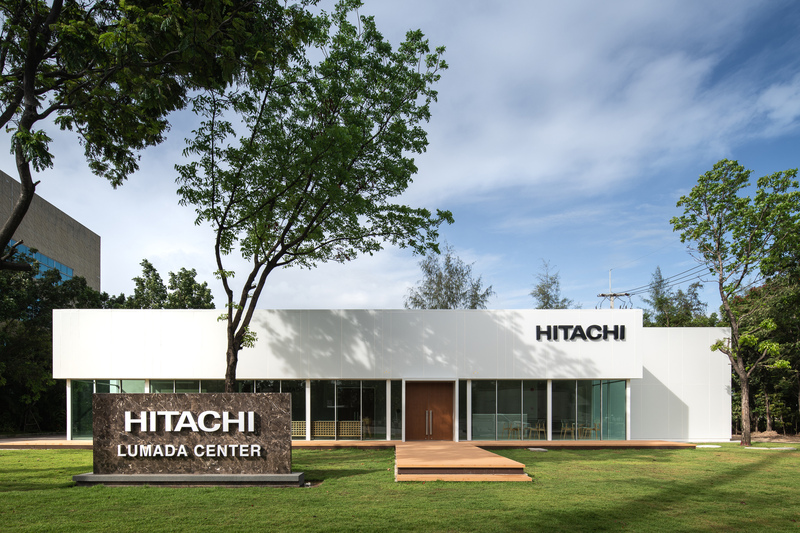 Client : Hitachi Asia (Thailand) Co., Ltd. 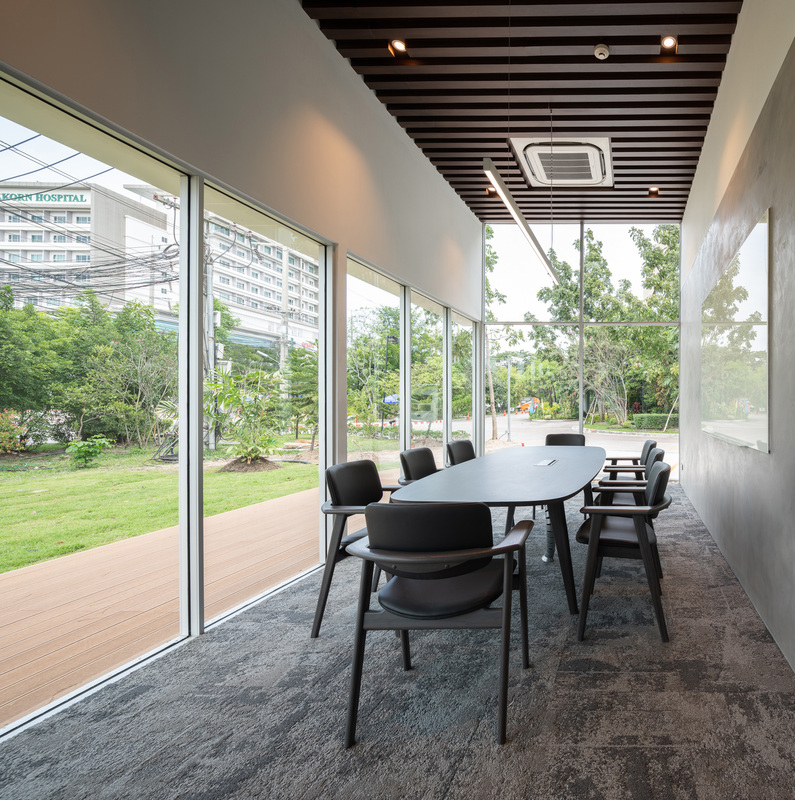 Architect Design : FAST SPACE DESIGN CO., LTD. 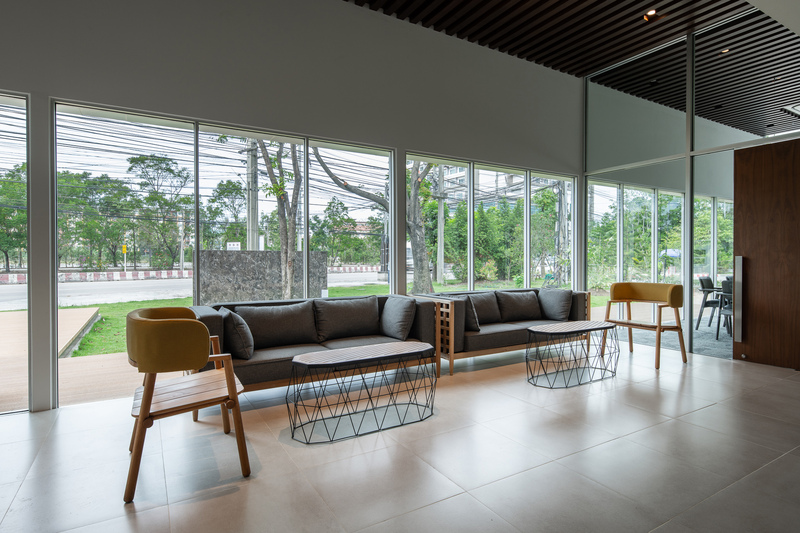 Interior Design : FAST SPACE DESIGN CO., LTD.
Collaborator : ITOKI Modernform Co., Ltd.